In addition to QuickBooks Training we are able to identify problem areas within your data files and either clean the data (when appropriate) or provide advice on the options available to correct the position. Katara also provides the appropriate training / guidance to prevent future data problems. 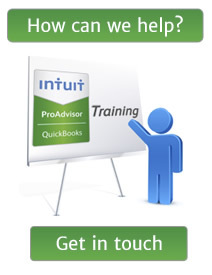 Whether you have inherited a QuickBooks file with problems or identified issues within a file you have been running yourself our QuickBooks trainer will help to resolve the issues. 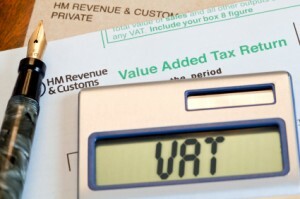 How QuickBooks handles VAT will depend on the version of QuickBooks you are using. Vat issues can arise during day to day processing or on conversion of QuickBooks data file to newer versions. If your VAT reports look strange, you have unallocated VAT or are running a manual VAT system and want to start to process via QuickBooks Katara can help. Stock management and reporting can be a challenging area for many businesses. With our experience of how QuickBooks processes your stock transactions we can help you both understand and manage your stock numbers. If your stock in QuickBooks is a cause for concern we can explain why and help you correct any stock related issues. You may need a non standard report, be looking to set up budget reporting or need reports for a bank or investor. If your reports do not make sense or the reports you are getting from QuickBooks do not meet the business needs Katara can help. Some of our customers, with US connections, operate US versions of QuickBooks software. Our experience in providing QuickBooks training to companies in the UK using the US version of the QuickBooks programme makes Katara the ideal trainer partner for businesses who are US subsidiaries, have US operations or simply inherited a US accounting programme.